Although none for MECO (electric) and MCWD (water), it is still fine with me. 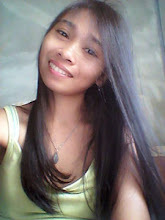 I can pay them along with the government bills - SSS, PhilHealth and Pagibig - through a bank or Bayad Centers. At least my time waiting in line is shortened compared to their respective establishments where it's more hassle - only 1 transaction at a time or queue. Whereas at banks or Bayad Centers, you only queue once but you can do as many transactions as you have when it's already your turn. 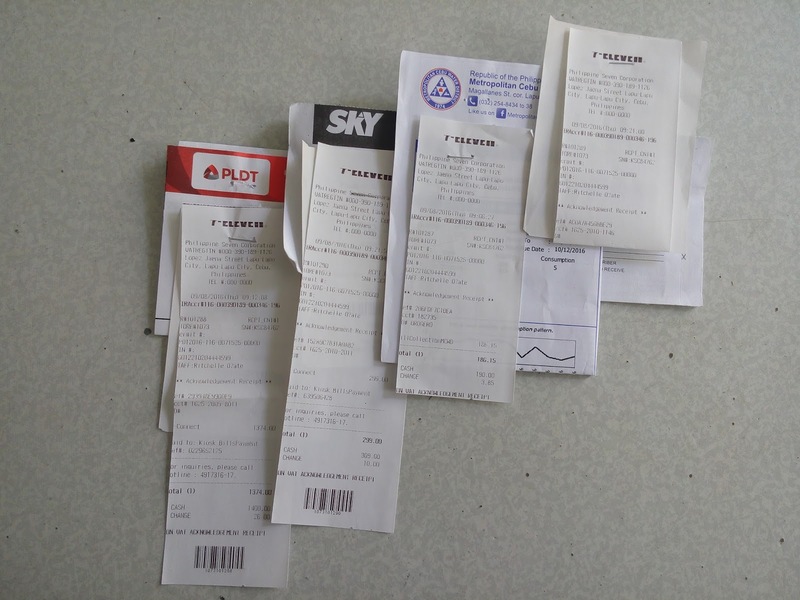 Government bills payment - SSS, PhilHealth and Pagibig - are also accepted through Unionbank but I prefer the hard copy receipts and I'm sure you know why. However, my EON account balance is not always sufficient. Uh-oh! So I had to go in lines. Unfortunately, there are times that those banks and Bayad Centers have longer lines than usual - for example: day after payday is a very busy day. 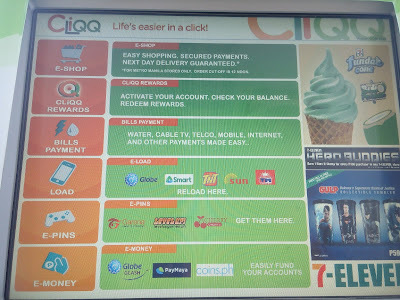 Good thing Cebu has numerous 7-Eleven stores already, initially launched last 2012. 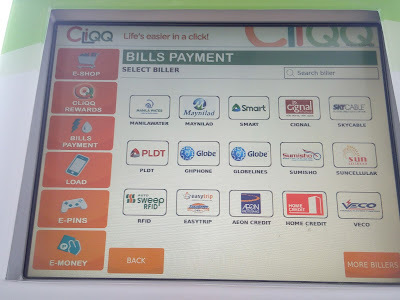 Another advantage is that they accept bills payments through their kiosk named Cliqq! 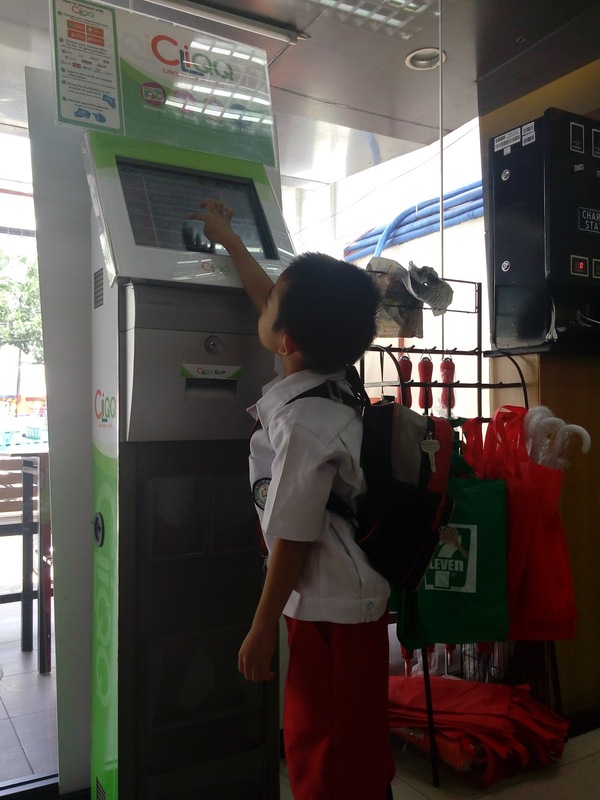 7-Eleven stores are not busy on bills payment sections as customers are usually there only for refreshments and mini grocery. But I guess after this post, it will change. Hahaha. 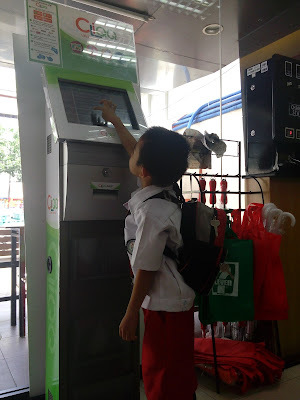 A big bonus for me is that there is a 7-Eleven store near my kids' school - more or less 30 steps I think? Hahaha...my steps are smaller than regular. 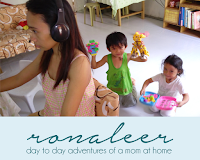 Anyways it's very accessible for me after I send my kids to school. Or if my kids are with me while doing the bills payment I can let them grab snacks and occupy the table next to the Cliqq machine so they're not far my sight. 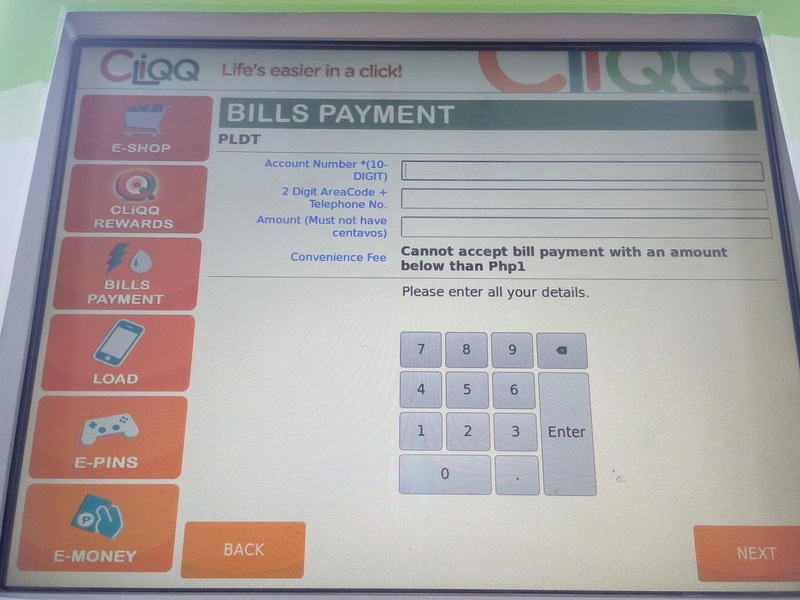 The 7- Eleven Cliqq kiosk looks like an ATM machine. 1. 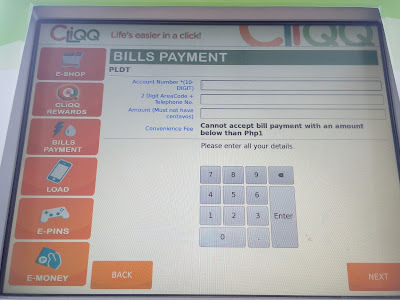 Touch anywhere on the Cliqq screen to turn on the monitor. 2. Select the Bills Payment tab from the categories displayed on the side. Then select your Biller. 3. 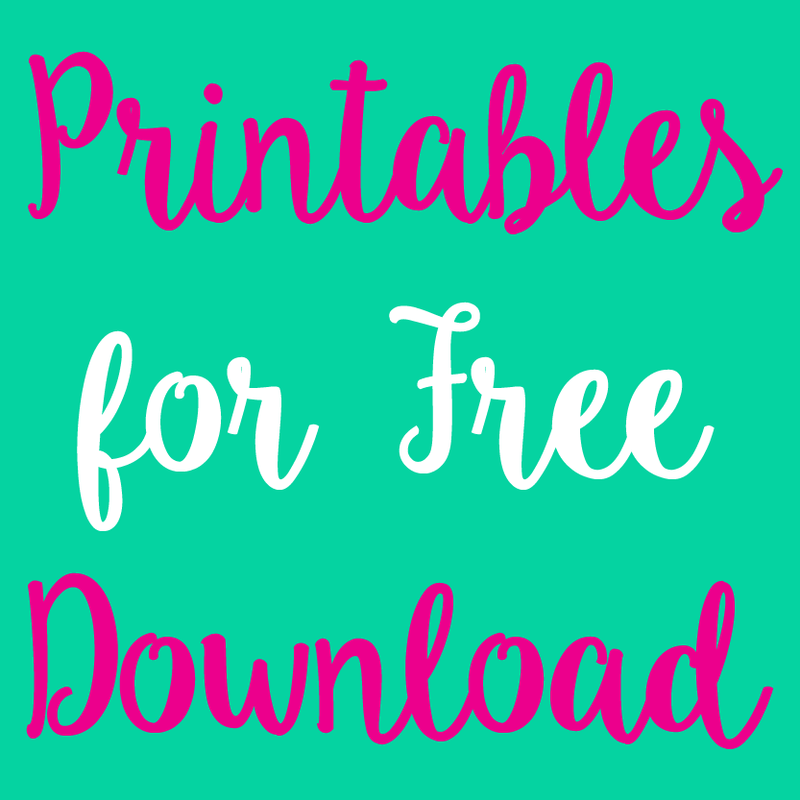 Fill out the text fields for the needed information. Always check the info entered before clicking Next. 4. Wait for the receipt to be printed. It will come out below. 5. Get the receipt then give it to the cashier to pay the amount. 6. Count the change. Hahaha. And it's done! You can now grab your refreshments. Additionally, from the picture on step2 above you will see many categories. 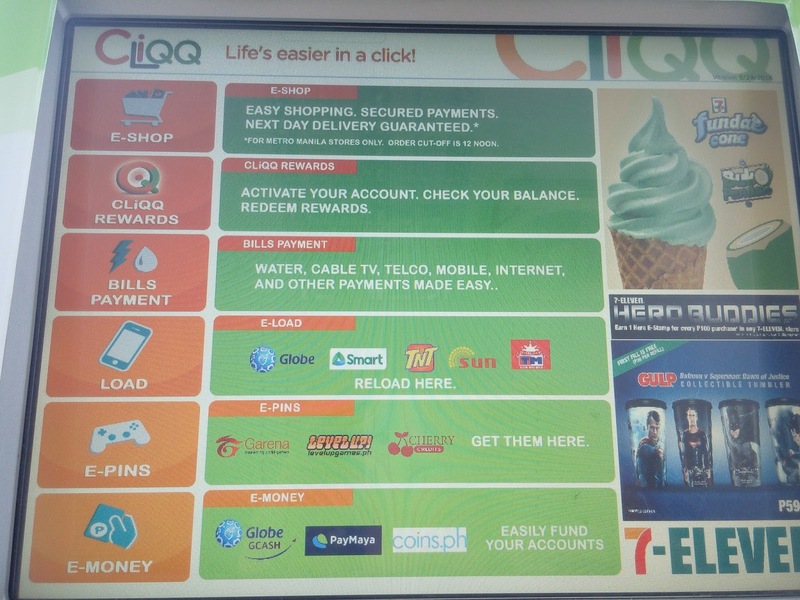 Click the corresponding tab for the service you need - like Prepaid Load, Cliqq Rewards, etc. Technology is continuously giving us a convenient life. I remember my bestfriend's tour in France where ordering a McDo meal is through touch and touch...whatever on the screen! Check this out - McDonald's Paris.